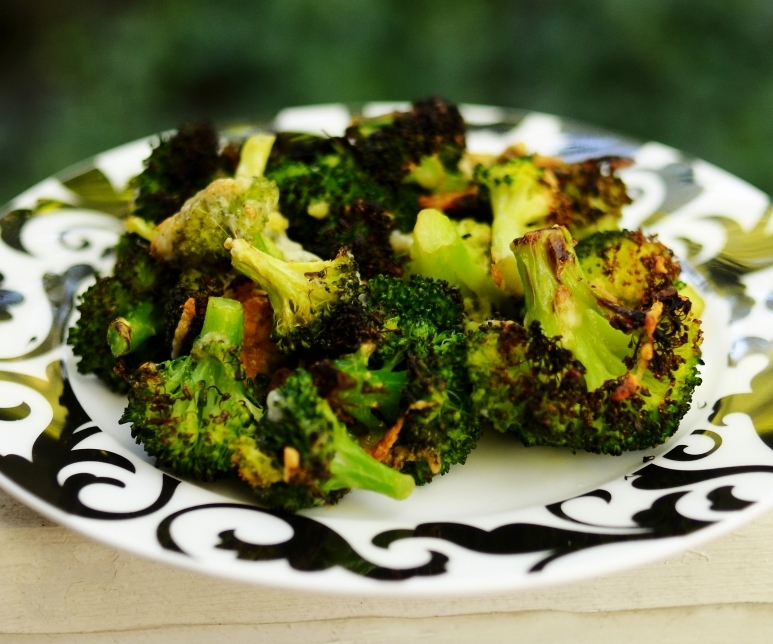 I just can’t get enough broccoli lately! And of course, it doesn’t take me but a minute to prepare and only a few to cook. 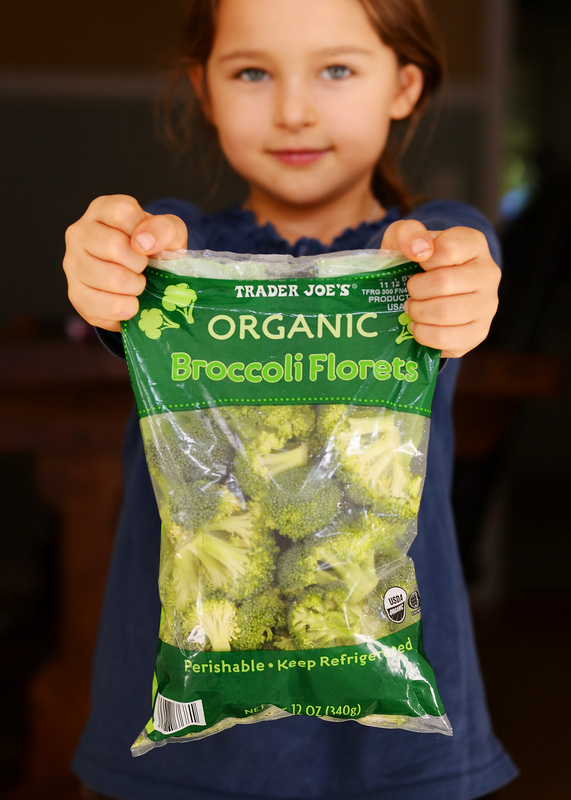 I’ve been buying the prepackaged Trader Joe’s Organic broccoli. Set oven to broil. Lay evenly on parchment paper on cookie sheet and let cook for about 8-10 minutes or until broccoli and cheese starts to brown. Be sure to watch it so it doesn’t burn. When it’s ready, take it out of the oven, let it cool for a few minutes and enjoy! I’m telling you, I can easily eat the whole thing myself. Hey, I said I eat healthy, I never said anything about moderation! One last thing — I’m sorry I haven’t had a chance to post anything thing besides recipes lately. I’m dying to write some posts on ‘food dyes and it’s effects on our kids’, ‘ADHD and allergies’, ‘celtic/himalayan sea salt versus table salt’, ‘an acidic body versus alkaline’, ‘how to really eat clean’, to name just a few. But, with work, I only have time lately to post what we are eating. I promise, as soon as things slow down, I will do my best to make this blog a little different, a little more educational, and hopefully, a little more interesting. And, as always, if you have any good posting ideas, please send them my way. I love hearing from everyone! Thanks for being patient, and thank you for taking the time to read!